Saving money, saving the environment. "Dear Capistrano Unified School District: Let's go solar!" From San Juan to San Clemente to Tesoro High, we're a grassroots coalition of student clubs. We're students, parents, teachers, faculty, taxpayers, community members, and everyone else in between. We're coming together to ask our school district to pursue solar installations on our six high schools. The financial benefits are crystal clear, and less money spent on utilities means more money going into education and extracurriculars. Awesome! how will we fund the project? CUSD is currently exploring its options, and will be able to use low interest Clean Renewable Energy bonds to procure solar with significantly reduced upfront costs! Capistrano Unified School District spends millions of dollars each year on energy. We can generate our own electricity. School solar projects have consistently proven to save money beyond their cost of purchase and maintenance. Districts successful with solar in southern California include Los Angeles USD, Irvine USD, Newport-Mesa USD, and Santa Ana USD. Solar technology has dramatically changed even within the past 3-4 years, with efficiency shooting up and price shooting down. As the cost for electricity rises over time, our savings will increase further. To start, we want to put solar panels on our high schools. They use the most electricity, so the most money can be saved there. In the past year, we have even spoken to solar experts at neighboring school districts to understand the benefits that other schools have already reaped. 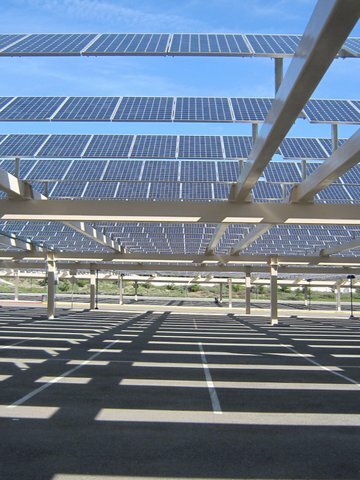 Irvine School District, whom we have spoken to, recently saved $220,000 in their first year of solar. We believe similar savings may be possible for Capo Unified School District. We're taking the stewardship of our planet into our own hands. As citizens of the next generation, we the students recognize climate change as a serious threat to our future and our children's future. This project is our contribution to solving the challenge. Solar energy replaces the need to burn fossil fuels and therefore reduces the carbon dioxide emissions that cause climate change. Additional benefits include lessening local air pollution (smog) and improving our country's energy independence. We are employing what we have learned in biology, environmental science, government, and economics classes to make a meaningful, positive impact on the environment. The size of these issues is much bigger than we are, but small steps add up to long distances! We teamed up with folks who have the experience to walk our district through the process. KyotoUSA, a Berkeley based non-profit organization, supported us in these efforts. They have assisted school districts throughout the state install more than 26 MW of solar, pro bono (free of charge). Here’s a news article about San Ramon Valley USD (KyotoUSA worked with the district’s initial 3.3 MW solar project in 2011) who are now preparing to put solar on 13 more schools. We have also worked with solar experts from Saddleback School District, learning how they financed solar and how solar was incorporated into their STEM curriculums. In May, CUSD approved funds for a solar feasibility analysis. Russell Driver from ARC Alternatives has since been working closely with us as we, together, explore solar feasibility for CUSD.